When you hear Gandia, suddenly it comes to your mind summer and party as one of the referent for enjoying the summer in the coast. Large and confortable sand beaches attract numerous tourists. But this city, capital of La Safor Region, located around 60Km from Valencia city, offers of course more than Gandia Shore. 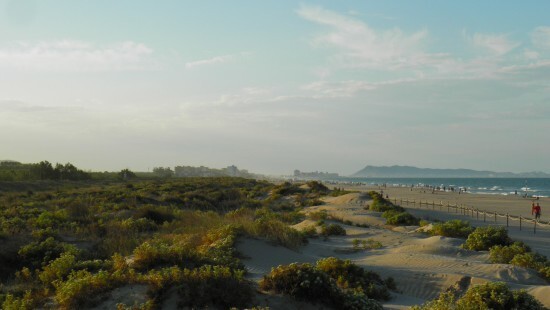 Lately, the image of Gandia is connected with a conventional tourism and party time, similar to what it can be seen in Gandia Shore. However, although this city is so focused on turism of sun and beach, Gandia offers much more. You can see a very special historical city center where you will travel to the duchy and the Borgia dynasty. The origin of the city goes back to the Muslim times. However, it was in the fourteen Century when Gandia became a Duchy conceded by Martín el Humano to Alfonso el Viejo, so it acquired a higher relevance due to the court. The Palace of the Duchy can be visited, this is the legacy of a splendorous past in which the culture was the main axis. 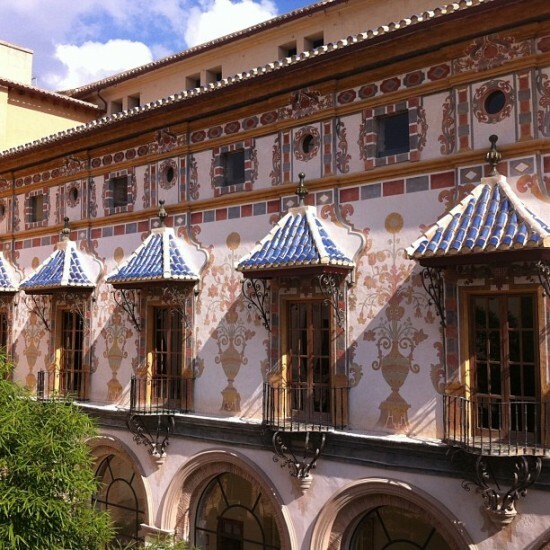 This place has seen so important writers of the Valencian Golden Century like the poet Ausiàs March, Joanot Martorell, the author of Tirant lo Blanch, considered as the first Modern novel in Europe or Roíç de Corella. The Borgia family became the possessor of the Duchy of Gandia in 1485 and suddenly the city abandoned its feudal profile to become a state with a very famous Court in Europe, where politics and church where together. Rodrigo de Borga became the Pope Alegandro VI, and the third Duch of Borja, Francisco de Borja renounced to hist titles in 1551 and he entered in a religious order and in 1671 he was canonized. You can follow the memories of this amazing history if you do the rout of Borja family in Gandia. There are many common traditional celebrations in the Region of Valencia like Fallas or Semana Santa, the most important celebration in Gandia is by the end of September the beginning of October, around the 3rd of October. This is the festivity of the Patron Saint of the city, San Francisco de Borja. At this time of the year, the city is more quiet. The origin of the Fira goes back to the year 1310 when Jaume II conceded the privilege of celebrating an anual market. Nowadays, the main aspect of the party is the Medieval Market and the cultural events, concerts and activities for everybody. The central well-known person in these festivities is the Tío de la Porra, who parodies the French soldiers and take the children out of the schools with a drum rhythm. Hispania, escuela de español and the rest that part of the Spanish Federation of Schools of Spanish as a Foreign Language, know that teaching Spanish goes beyond the books, that is why they offer their students a complete local and cultural immersion with excursions and classes of History or Fine Arts, for example.